South32 will contribute up to US$10 million to Inca Minerals’ Greater Riqueza zinc-lead-silver project in Peru in exchange for a 60-percent stake in the asset. South32 (ASX:S32) has exercised its earn-in option with Inca Minerals (ASX:ICG) to acquire a 60-percent interest in Inca’s Greater Riqueza zinc-silver–lead project in Peru. The two companies agreed that South32 will spend US$8 to US$10 million on phase 1 exploration in exchange for the 60-percent stake. South32 and Inca announced the earn-in agreement back in early April, when South32 agreed to help fund a geophysical survey for the project. The agreement covers a few different items, including all tenements at the project being transferred to a newly incorporated Peruvian company at the beginning of phase 1. After completing phase 1 funding obligations and receiving its 60-percent interest in Greater Riqueza, South32 will have the option to acquire an extra 10-percent interest during phase 2. This will come in exchange for funding all project expenditures necessary for a prefeasibility study. “I’m excited by this partnership. South32 is a globally recognised sector leader and provides a clear advantage and capacity in the development of Riqueza,” said Inca Managing Director Ross Brown. Inca announced its acquisition of the Riqueza project in April 2016, and has since found over 100 occurrences of zinc-silver-lead mineralization at the site through new structures, veins, mantos and breccias. The project has grown from an initial two prospects, Humaspunco and Uchpanga, to six, including Pinta, Pampa Corral, Colina Roja and Alteration Ridge. South32 has a growing interest in zinc, which it primarily produces out of its Cannington mine in Australia — also the world’s largest silver and lead producer. The company recently acquired Arizona Mining with immediate plans to develop its Arizona-based Hermosa base metals project, which has two major deposits with zinc resources. 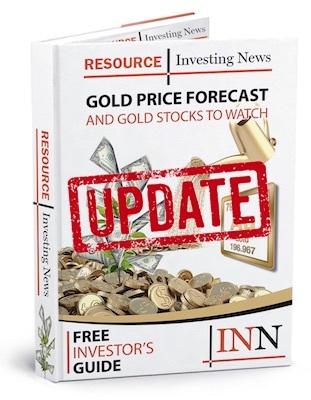 Inca was trading at AU$0.004 per share at the end of trading on the ASX on Wednesday (August 22), while South32 closed at AU$3.26, down 0.91 percent.